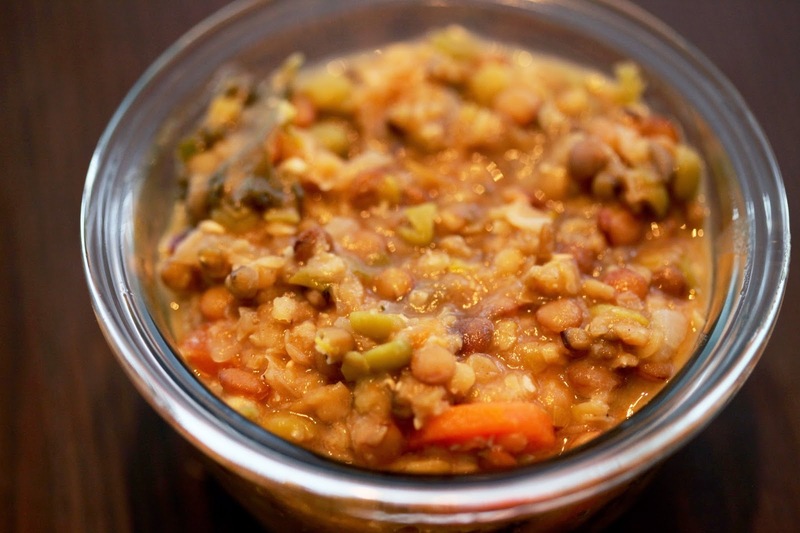 Mung Beans and Lentil Soup. I recently ate at an Ethiopian restaurant in Berkeley where I got to try an outstanding lentil soup that reminded me so much of my mom’s Afghan version called mashawa. I knew immediately I needed to try to recreate this as it’s such a healthy, high-protein dish that’s easy to freeze and heat up later. 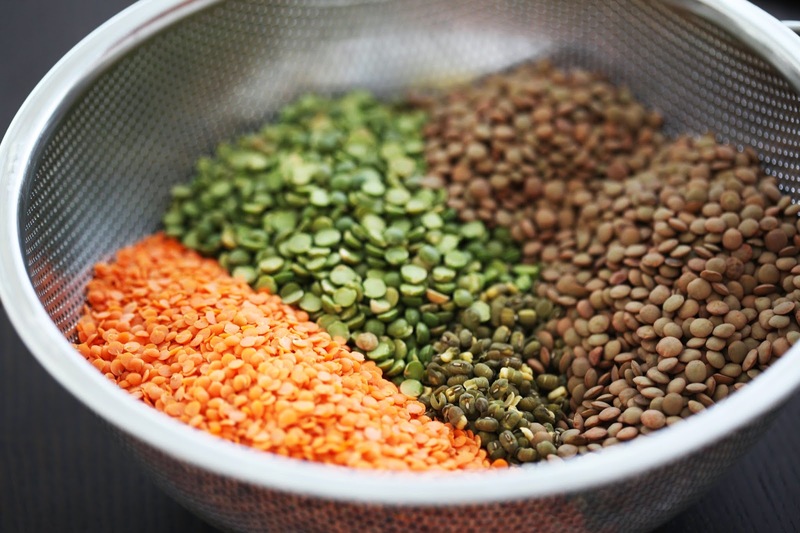 I decided to make mine with sprouted mung beans and a variety of colorful lentils. 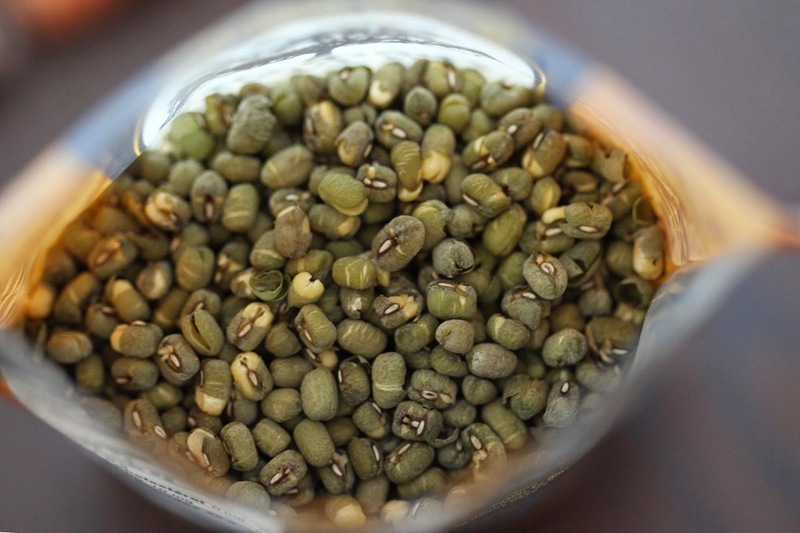 For about 6-8 servings, I used about 1 cup of mung beans and two cups of lentils. I used a mix of red lentils, green lentils, and French green lentils. I had purchased all these from the bulk section of my grocery store and they’ve been sitting in the pantry waiting for a good recipe. First step is to rinse and soak the beans. To do this, simply mix all together in a large bowl, fill with water, stir with your hands to surface the grit, and pour out the water. Continue this step multiple times until the water starts pouring cleaner. Look for rocks or other dirt in the beans. Once satisfied with the rinse, simply set it aside in a bowl filled with water. You’ll find the lentils will soak up the water and puff up requiring more water to be added to keep them covered. Soak anywhere from 1 hour to overnight. 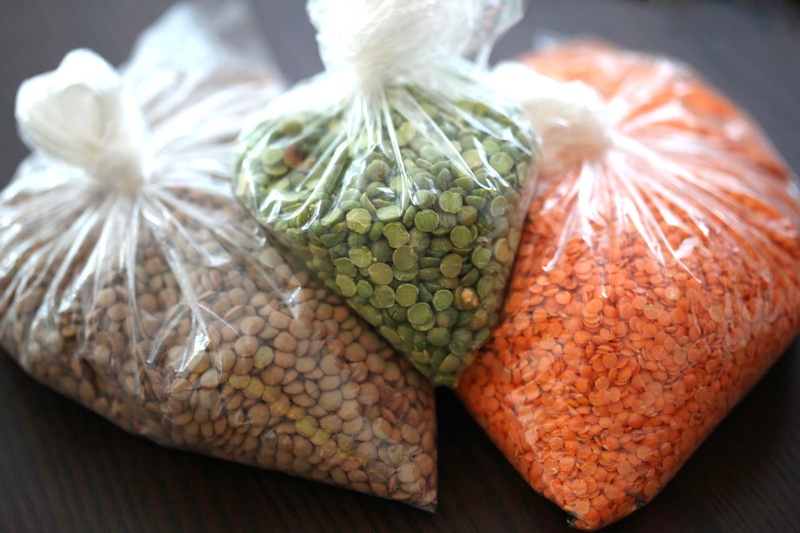 While the lentils are soaking, start prepping your ingredients. You’ll want to chop a full onion, dice about a 1/2 cup of tomato, and slice a few carrots. I also sliced up a leek I had on hand. 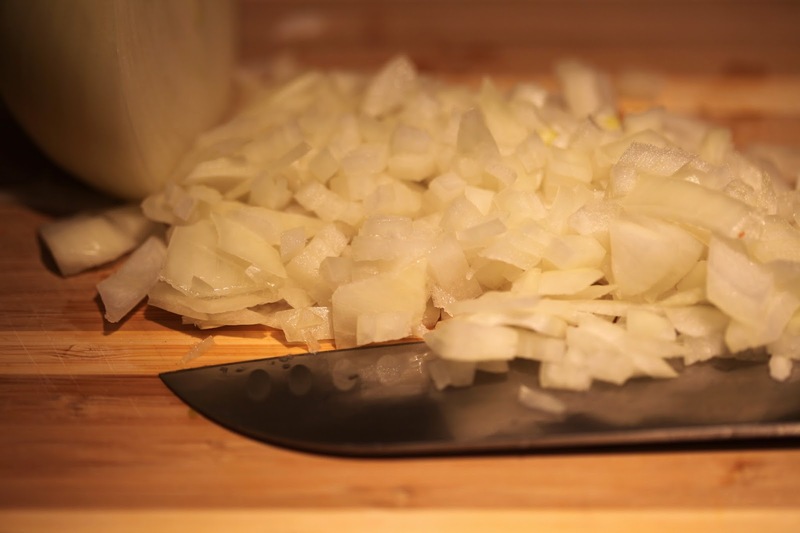 If you have garlic, slice some up — otherwise use minced garlic from a jar. 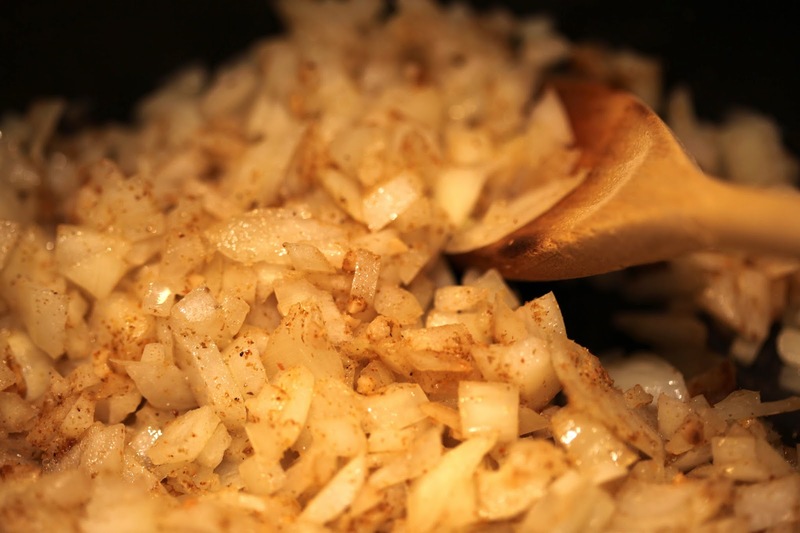 In a large pot, saute the onions with olive oil, minced garlic, and various spices. I chose ginger, mustard, cumin, coriander, cayenne pepper, salt, and a little bit of garam masala. Once the onions start to show their translucency, add in the tomatoes. 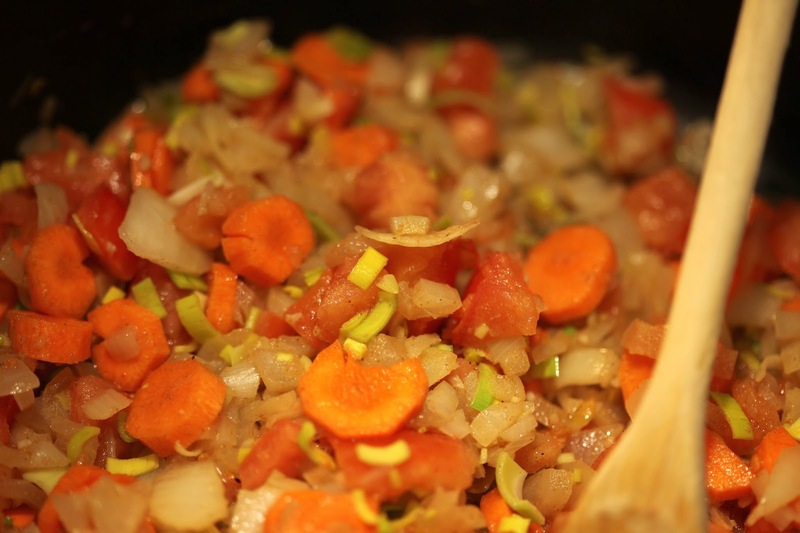 Stir for a few minutes, then add the carrots and leeks. 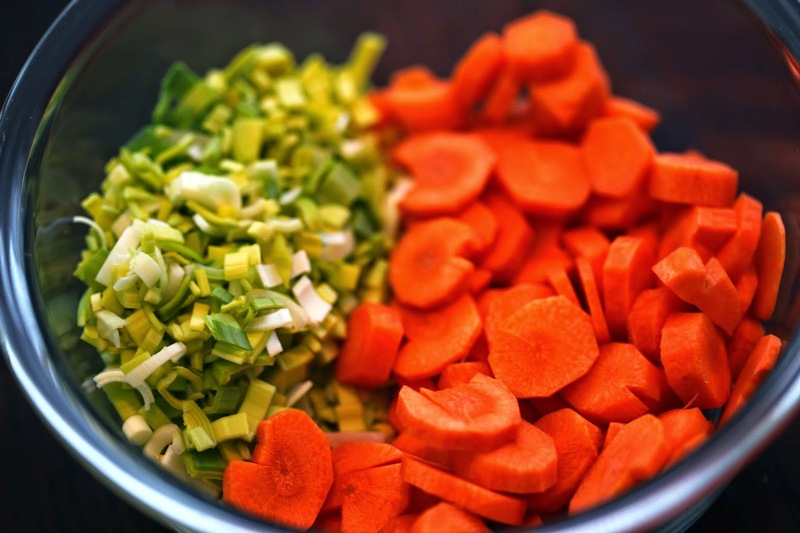 On high heat, continue to stir occasionally for several minutes while the flavors infuse all the vegetables. Now is time to add the mixed lentils. For the sake of one last rinse, I drain the lentils instead of including the soaking water. After the lentils are in the pot, you’ll want to add water. Enough to cover everything and have an additional couple of inches of water above. Cover and keep it on high heat for about 45 minutes, stirring occasionally. After 45 minutes, I added some apple cider vinegar to help break down the lentils. This acidity infuses a nice flavor contrast that can be embellished with a squeeze of lemon. Be sure to taste your soup while cooking to ensure the seasoning is right. During this last 15 minutes, I added more salt, ginger, paprika, mustard, and garam masala. I also added kale because I seem to add it to every recipe! At this point, turn the heat to medium and let it continue to simmer for another 15 minutes.I personally like to add a dollop of fat free greek yogurt to my soup when serving, but this is an optional item. Without that, this is a completely vegan dish. You are welcome to also add ground meat to the soup to make it heartier, but I prefer it without. Additional ingredients to consider — you can add bay leaves, shallots, tomato paste, curry, chick peas, potatoes, ground meat, etc. I don’t know how authentic mine is compared with my mom’s, but I enjoyed it. 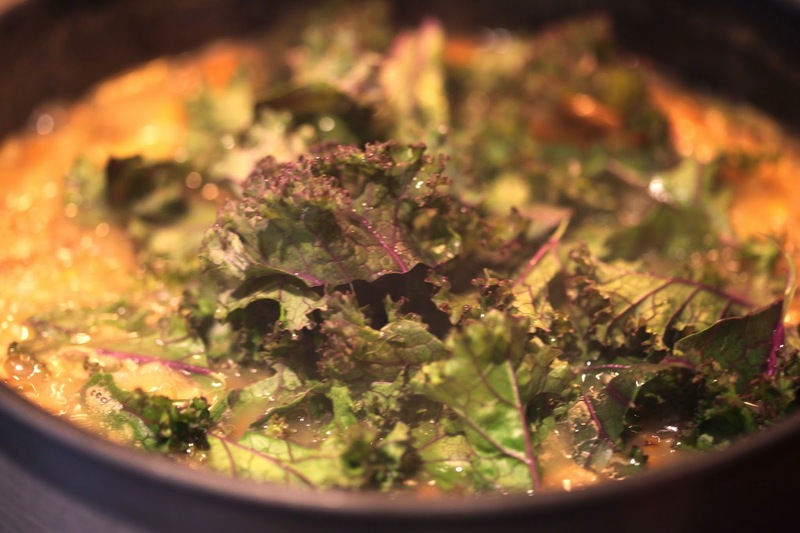 A few tips — a soup like this will become more flavorful the longer it sits. Keep this in mind when seasoning — the flavors may strengthen once refrigerated overnight. Depending on how thick or thin you like your soup, adjust the water. Total cook time, approximately 1 hour plus 1 hour to prep. ← Paella (made with risotto rice).